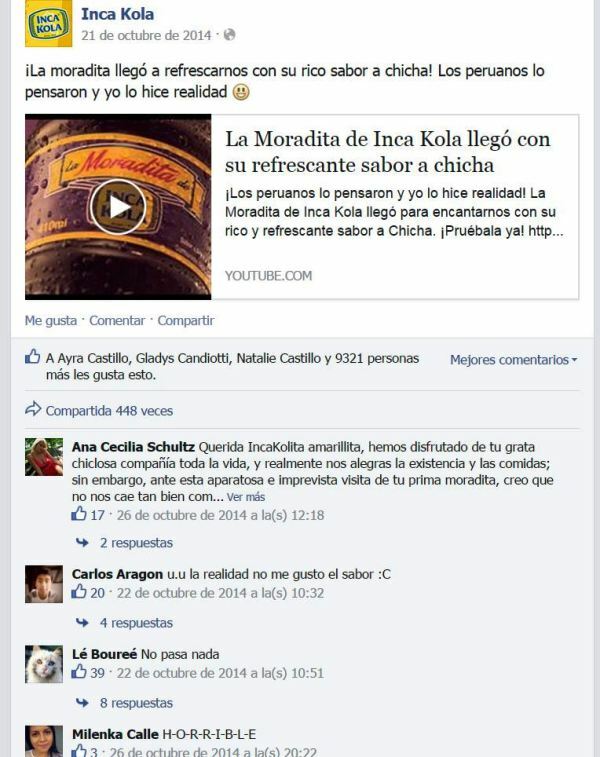 Inca Kola’s “La Moradita” has been an epic fail in Peru. One comparison is New Coke. In 1985, Coca-Cola had been waging a bitter battle with Pepsi during the Cola Wars of the 70s and 80s. Pepsi is sweeter while Coca-Cola has an acidic aftertaste. They removed the acidity for New Coke. Despite the overwhelming preference for New Coke in focus groups, an ugly, public backlash ensued. Maybe Southerners did not want their signature drink changed, or maybe consumers liked the acidity. The company launched “Coca-Cola Classic” alongside New Coke. As a young boy, I learned to look for “Classic” underneath the Coca-Cola logo. New Coke was phased out and the episode earned the company a case study of failure for marketing textbooks. In 2005, Colombian beer monopoly Bavaria S.A. was purchased by SABMiller. From 2009 – 2011 I taught several English students in various departments at Bavaria. They told me the company’s dirty little (yet widely known) secret. When the gringo managers arrived, they got the bright idea to change the formulation of the flagship beer of Colombia, Aguila, the label of which matches the colors of the Colombian flag. Despite what they say in the media, these students told me the gringos gave the brew a lighter taste. The idea was that consumers would drink more Aguila. 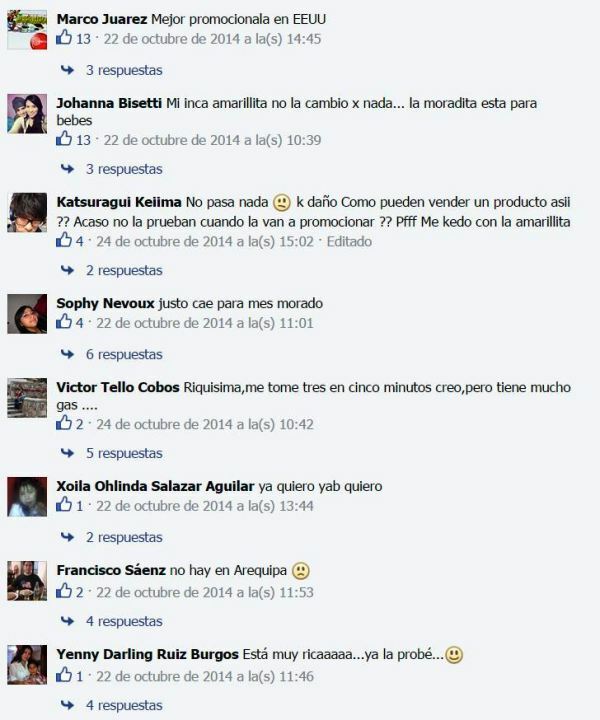 The plan backfired because Colombian consumers did not want a lighter beer. Today, the best-selling beer in Colombia is Poker, which has zero potential in identifying with Colombian colors or pride. 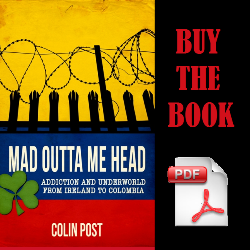 The gringos’ epic screw-up is only whispered about among the Colombians. Purple corn juice made by boiling purple corn, then adding cinnamon, lime, cloves, pineapple, sugar. Very refreshing. Peru’s unique plutonium-colored soda, Inca Kola, tastes like bubblegum. Started by a British family in the 1930s, the brand was so successful it has been bought by Coca-Cola. You’ll have a hard time getting out of Peru without trying Inca Kola. 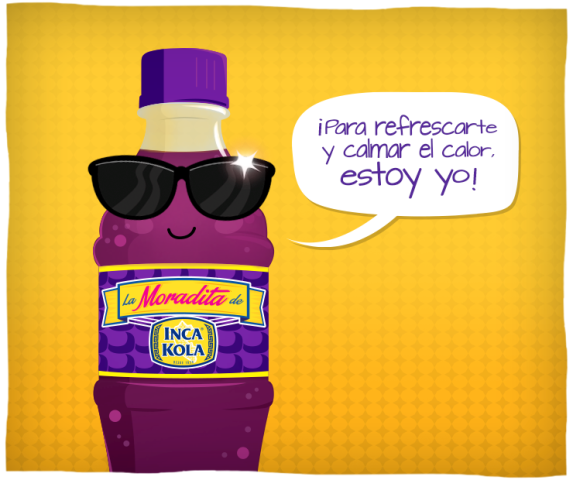 Inca Kola (or Coca-Cola) managers hatched the idea to make a chicha morada soda – chicha morada con gas, if you will. 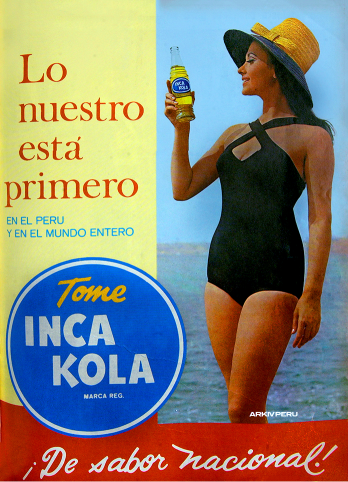 The result was La Moradita, which it dubbed Inca Kola’s “prima” (female cousin). The result has been disastrous. 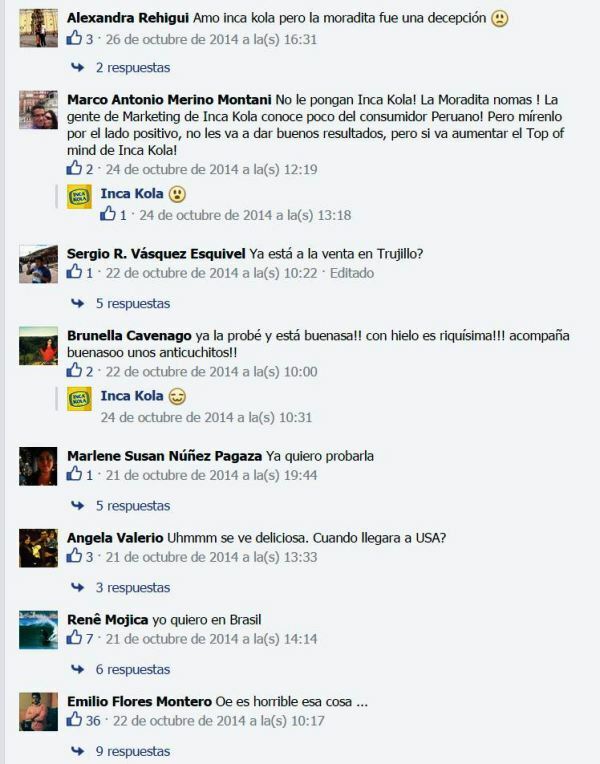 Maybe La Moradita’s failure is not as bad as New Coke was, since nobody tinkered with the world’s best-selling beverage. But the outrage has been similar if not greater. According to most accounts, at least some people were drinking New Coke. A vocal minority demanded the old version back. New Coke did not languish on shelves as La Moradita is doing. Aguila’s reformulation suffered a quiet backlash only seen in Bavaria’s sales figures. The diminished strength of its flagship brand may come to be a major weakness if Colombia ever adopts antitrust law and does away with unregulated monopolies. Still, the Aguila change in taste only ruined one national icon. By using the Inca Kola logo on a chicha morada soda, the La Moradita venture has denigrated not one, but two symbols of Peruvian identity. 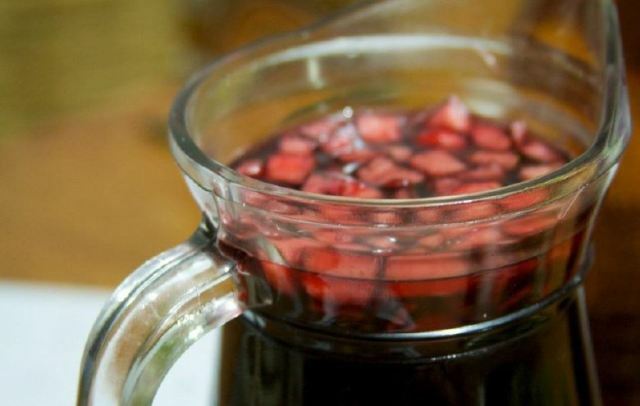 Chicha morada is delicious and versatile. Unlike chicha de jora, typically served only with Arequipa cuisine or campesino food, chicha morada is served with a wide range of Peruvian cuisine. You will always find it at ceviche, chifa, and anticucho restaurants. And you will often find it everywhere else. To understand the brilliance of chicha morada, you have to taste it. What I wrote in the book – “very refreshing” – is an understatement. Something about chicha morada, especially when hung over on a hot day, is nectar for the innards. It cools and hydrates to the core. I can gulp down well over a liter during one lunch. “Refreshing” is where La Moradita FAILED. 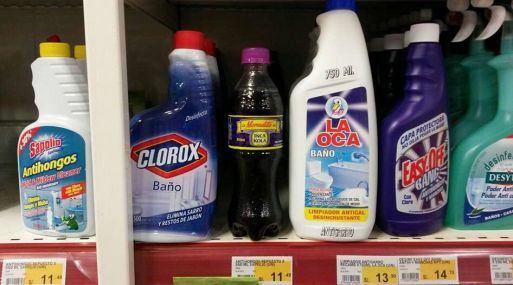 By adding gas and making it soda, the company removed the refreshing and nourishing feeling that came with drinking chicha morada. It does not go down like water or juice anymore. I am not anti-soda. I often drink zero-calorie sodas. But I would never call a carbonated soda “refreshing” and definitely not “nourishing” (beer maybe). I had seen La Moradita around and assumed Inca Kola had launched a chicha morada to compete with Gloria and get a piece of that business. Then one day I saw an almost-full bottle on a table at the in-laws’ house. It was hot outside and I was parched. I helped myself to a swig and almost gagged. I found the family and asked what the hell was that about. They all laughed. The 500 mL bottle had been sitting around for days. Everybody has tried it. Nobody can finish it. It was ultimately thrown away. I was reminded of my vacation to Lithuania. One of the days we started a road trip with an awful hangover. I bought a two-liter of water at a gas station near Kaunas. We hit the road and I gulped hungrily from the bottle, only to spit it out. I had bought what we in the States call “club soda” – water with gas. 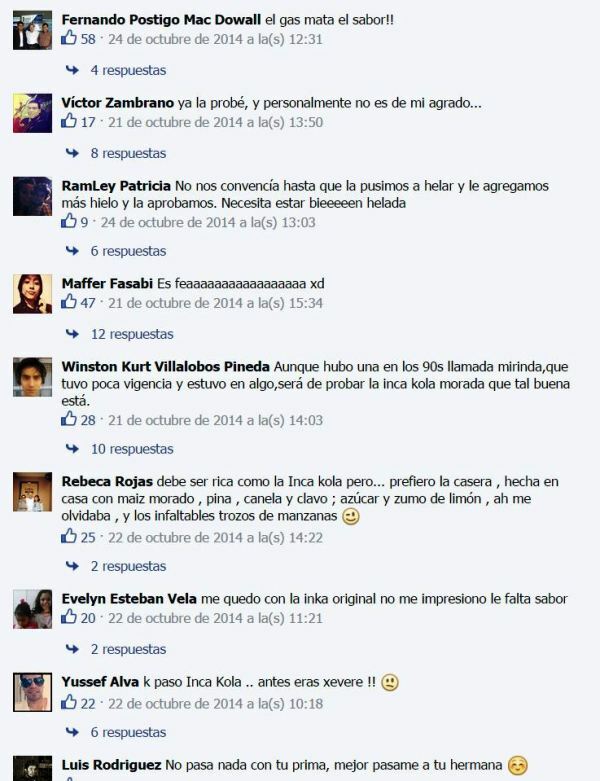 The Peruvian public’s reaction has been termed “cyberbullyng” by the press. Another article breaks down why it was such a failure. 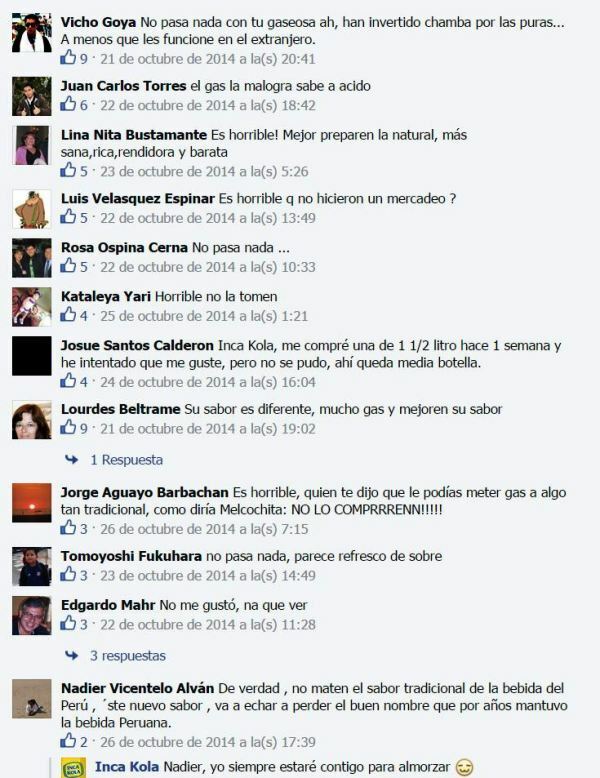 A professor from Peru’s top business school has weighed in, cautiously asking what the idea was in the first place. It is easy to say what went wrong after the fact — armchair quarterbacking they call it. As they say on the FB thread and in the Gestion article dissecting the failure, didn’t they do a focus group? It is hard to believe that such an entrenched company owned by Coca-Cola would not have focus-grouped this idea. But one taste of La Moradita leads you to believe … maybe they didn’t. Or at least not with Peruvians. The traditional press cannot illustrate how epic this FAIL was like the people’s press. 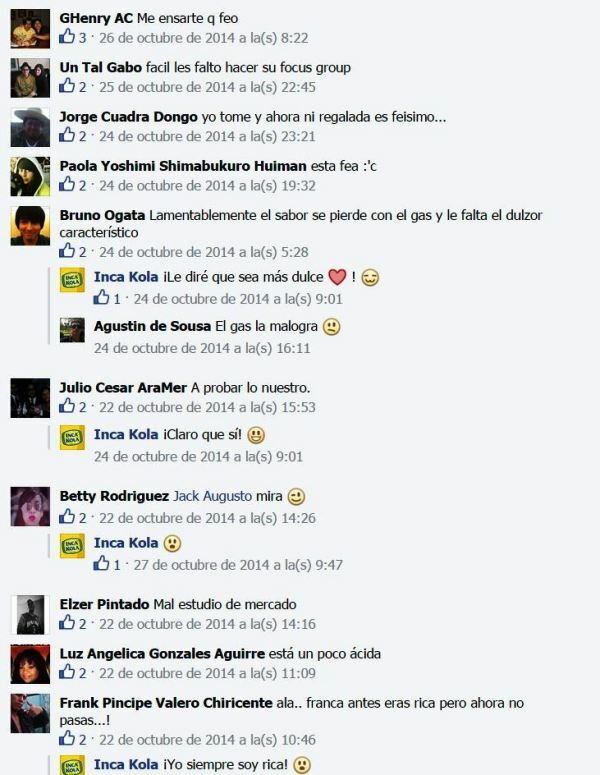 See a Moradita adaptation of the Game of Thrones scene, Purple Wedding.